The mortgage investment environment has changed significantly as a result of post-crisis financial reform, leading to increased market complexity and opportunities to add value through careful security selection. 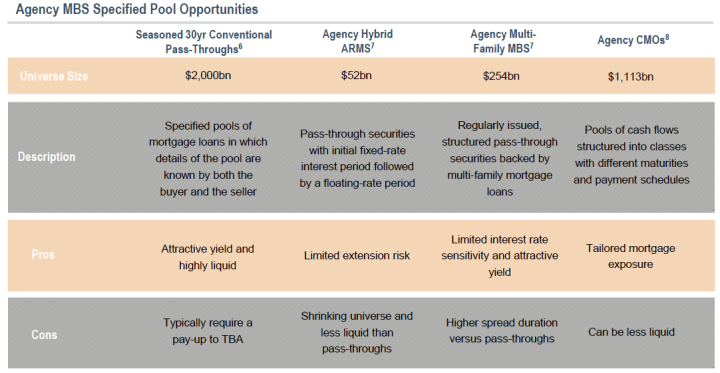 The $7 trillion¹ US Agency mortgage-backed security (MBS) market bears a number of unique investment characteristics due to its diverse buyer base, specialized trading mechanics, and strong liquidity. At IR+M, we focus on the opportunity set within specified pools to gain exposure to Agency MBS and believe we can navigate the nuanced market to provide a yield advantage with more stable and predictable cash flows. The Agency mortgage market is highly liquid and carries little credit risk. The greatest source of risk for Agency MBS is the timing of cash flows, as borrowers will prepay their loans at different rates or speeds based on fluctuations in prevailing mortgage rates. Before the financial crisis, prepayment behavior was fairly predictable. 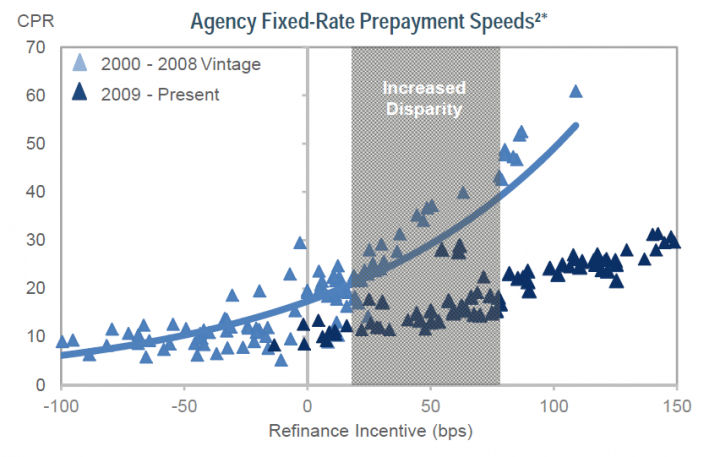 Borrowers had few impediments to refinancing and behaved similarly. The overall interest rate environment generally dictated behavior, as prepayments tended to speed up when mortgage rates fell and slow down when rates increased. As a result of post-crisis financial reform, the landscape of the Agency mortgage-backed sector has changed significantly. Outside a borrower’s willingness to refinance, a number of factors now impact their ability to refinance, including: credit availability, property valuations, loan balances, geography, and seasoning. As a result, borrower behavior is less correlated to the interest rate environment and more difficult to predict. Agency MBS with comparable investment characteristics that once traded similarly are now behaving independently, as illustrated to the right. 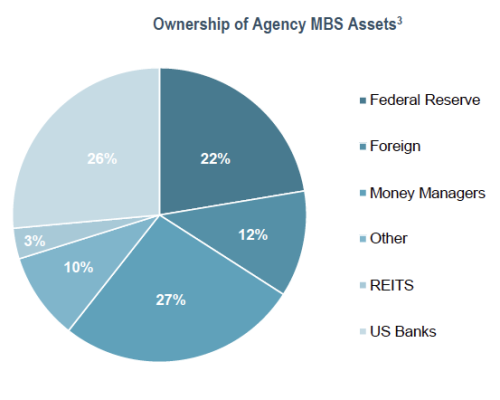 The market value of the Agency MBS market totals nearly $7 trillion3, an amount rivaling the size of the Treasury market. 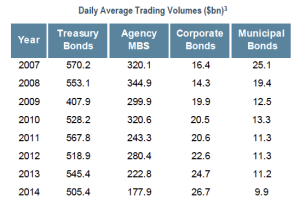 The buyer base is large and diverse given the sector’s high quality and attractive yield relative to Treasuries. As a result of Quantitative Easing (QE), the largest individual holder of Agency MBS is the Federal Reserve (Fed), who will likely step away from the market as it begins normalizing monetary policy. Outside the Fed, there is a wide range of active participants, each with their own motivations for investing in the sector. For instance, banks have been major holders of MBS but prefer adjustable-rate and shorter-term mortgages. Pensions and mutual funds hold MBS to replicate mortgage-heavy bond indices, and are expected to change their allocations based on the sector’s share of the market. REITS are generally more focused on investment return, and tend to be marginal buyers when spread compensation looks attractive. IR+M focuses on the opportunity set within specified pools to gain exposure to Agency MBS. We believe some pools can have characteristics that provide a yield advantage without taking on greater interest rate sensitivity. As a result of changes stemming from the financial crisis, the Agency MBS market has grown more complex. 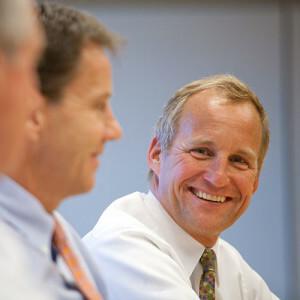 The renewed mortgage landscape, coupled with the other unique investment considerations, can drive inefficiencies and creates opportunities for security selection. At IR+M, we believe we can capitalize on these dislocations and invest using a bottom-up process focused on finding opportunities within the specified pool market. 3Federal Reserve as of 12/31/14. 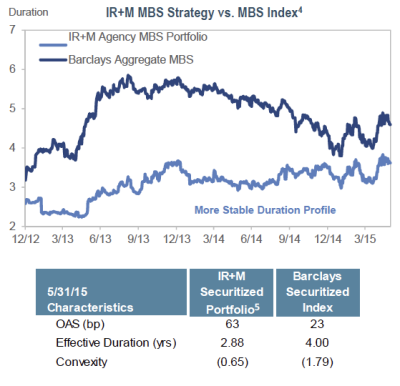 4Sample IR+M Agency MBS Portfolio and Barclays as of 5/31/15. Data after 1/21/15 includes an adjustment factor to account for Barclays MBS prepayment model change. 5Sample IR+M Securitized Portfolio as of 5/31/15. 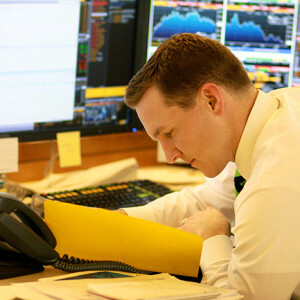 There are limitations in sample results, including the fact that such results neither represent trading nor reflect the impact that economic market factors might have had on the management of the account if the adviser had been managing an actual client’s money. Actual results may differ. A similar analysis can be provided of any portfolio we manage. 6J.P. Morgan as of 5/28/15. 7Barclays and IR+M as of 4/30/15.